While we were out and about, I found myself running into a lot of images of women riding side saddle. It started with the above poster. Then we stopped in at The Columbus Museum to see: Homer in America. Winslow Homer was a prolific illustrator and the exhibition featured 125 wood engravings produced over a period of nearly three decades. 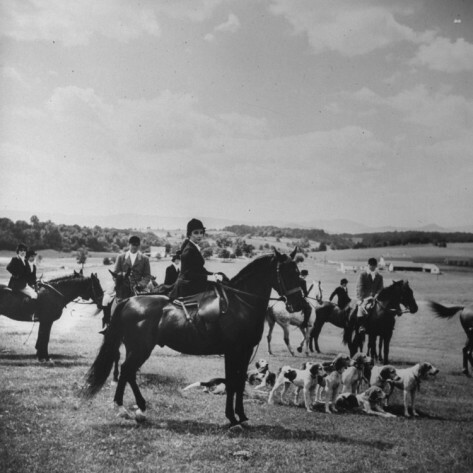 Several of them were of women riding side saddle. Needless to say, when I returned, I pulled together a few of my favorites. 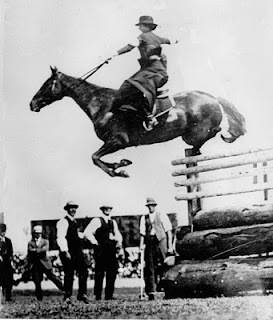 Mrs. Esther Stace riding side saddle and clearing a record 6'6" jump in 1915 at the Sydney Royal Show. Actresses are quite good at side saddle. And Angelina Jolie as Lara Croft. 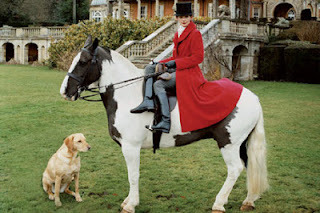 Jolie said she loved riding side saddle and shooting for this scene. Unfortunately for the person in charge of continuity, there was a bit of a problem. When Lara Croft stops riding and shooting, she pivots her horse to ride back to her castle. 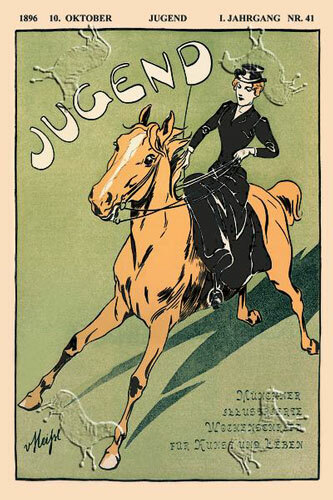 Riding back, she is astride the horse, both feet clearly in stirrups. It would be impossible to go from side saddle to astride without damaging delicate body parts. 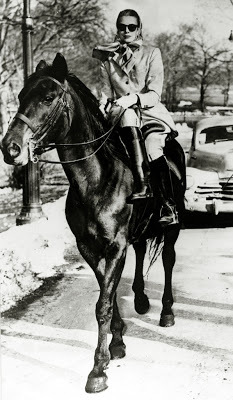 Finally, a bit of side saddle fashion. Out riding in a lovely red coat. In regards to Mrs Stace of Australia, you say she made the jump using a springboard. This is untrue.I don't know where you got that information from but you can check the official records of the Royal Agricultural Show.